Adapted from Brooke McLay on Babble the family kitchen's "You've Gotta Try It! 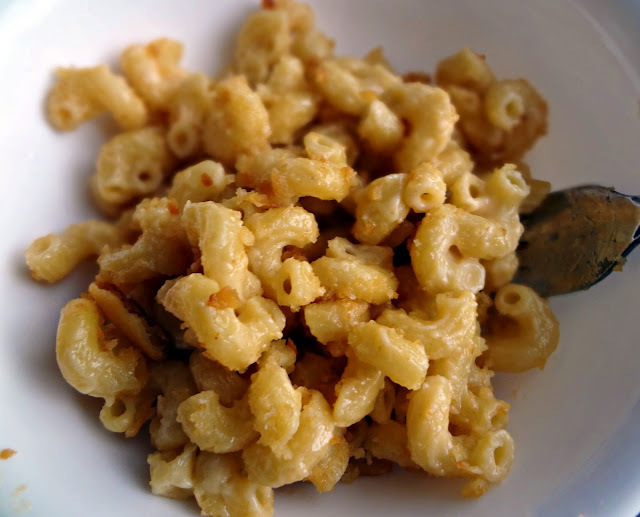 Macaroni & Cheese"
In a medium saucepan, melt 6 tbsp. butter over medium heat. Whisk constantly as it foams and then small brown flecks form (pictured above). Immediately whisk in flour. Add milk and continue to whisk over medium heat until smooth and thickened. Whisk in cheeses until smooth and not clumpy. Turn off heat. 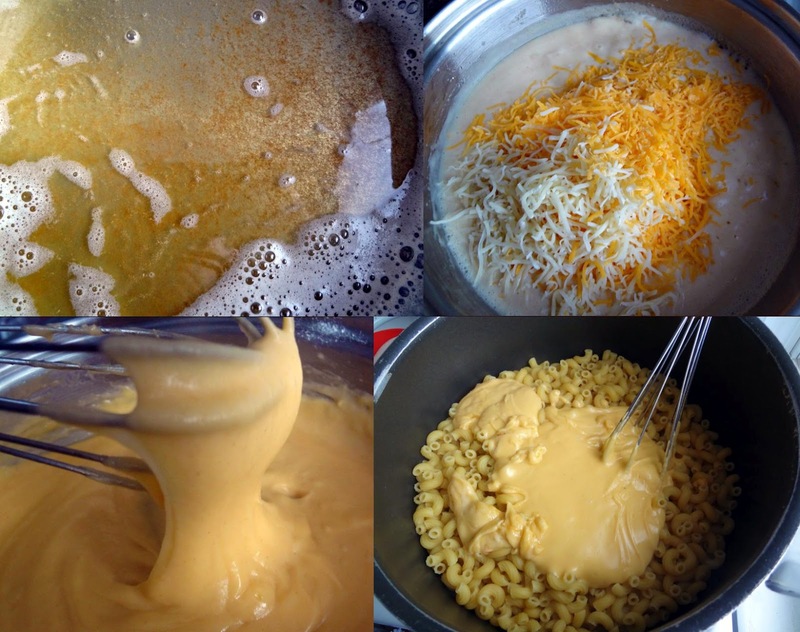 Pour cheese over cooked macaroni. Prepare a large casserole/baking dish (preferably tall & deep, but 9 x 13 will work) by spraying with non-stick cooking spray. 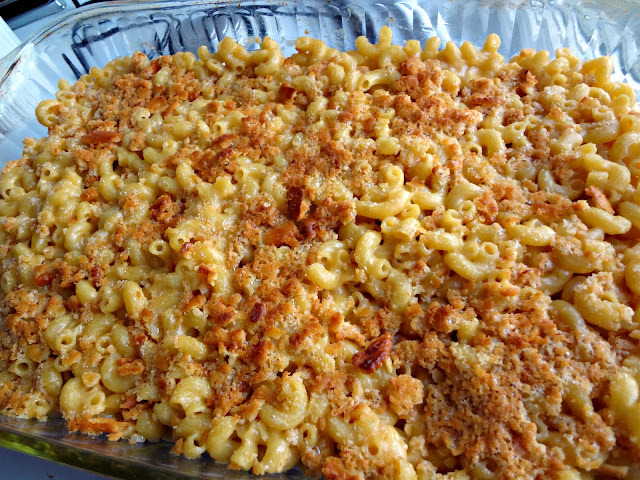 Pour macaroni and cheese in. Stir 2 tbsp. butter with the crackers. 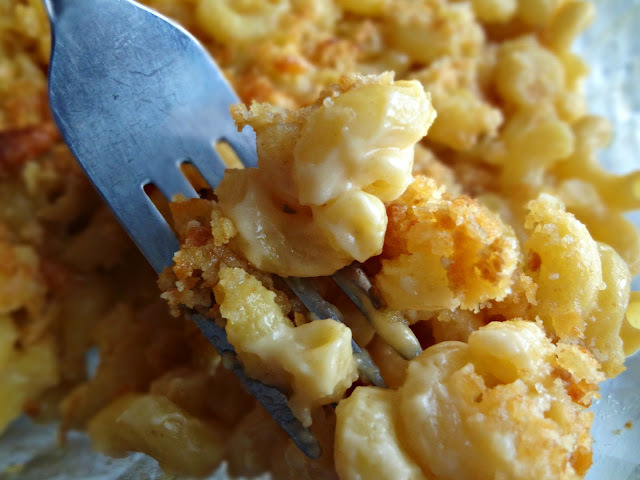 Sprinkle over the top of the mac'n'cheese. Bake on middle rack of your oven on broil for 5-8 minutes. If (like me) your broiler is below the oven, still bake it on the middle rack for 5-8 minutes, but then put it under the broiler for a couple minutes (keep a close eye).